We are the premier skip hire company in and around the Chelmsford area. If you see a service you would like to enquire about, click on the link or contact us for more information. For all of your waste management needs! We deliver our skips across the Essex area, The heart of our operation is based in Chelmsford. We offer a wide selection of skip hire sizes, ranging from 2 yard chain lift skips all the way to 40 yard roll on / off containers. Our domestic skip hire division can offer all sizes of skip hire at an affordable price, with same day delivery and specific time slots. Our commercial skip hire service can also provide same day service and specific time slots along with account facilities. We have different size skip hire trucks making no job too big or small. 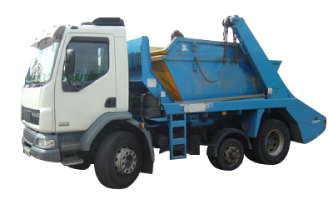 We provide the number 1 skip hire and waste disposal service across Chelmsford and the surrounding area's. We are 100% confident that our service will not be beaten! We pride ourselves on 3 main values, professionalism, affordability and reliability, this helps our company centre our efforts on what our customers want and need. We mainly work off of recommendation which is why we provide a skip hire service you can trust! 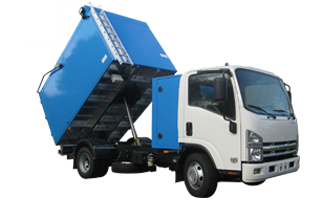 Our junk removal service is a cost effective way to eliminate skip hire needs. We can remove all types of waste including, garden / green waste, furniture & appliances. Our rubbish collection service includes operatives time to help load your unwanted items. Our man with a van service has never been so easy to book. Contact us today. We cover the Essex area including Chelmsford, Brentwood, Basildon and many more. Our junk collection service is a great alternative to skip hire and grab hire. If you have waste or junk that needs removing and you would like someone to do the lifting for you then you are in the right place. If you do not want to place a skip on your newly laid driveway then you are in the right place. Our friendly team are waiting to take your call, so don't hesitate to get in touch today. No job is too big or small, our 8 wheeled grab hire fleet can cater for some of the largest loads. With a 10 metre reach to the side of the grab hire truck and 2 metres to the front, you are covered. We can grab waste from area's that are difficult to access with skip hire, and fences and walls are no issue. We cover the Essex area including Chelmsford, Harlow, Basildon and many more. For more information on how we can help with your grab hire or muck away solution, contact our team today. Welcome to Chelmsford City Skip Hire, we are a family owned business who pride ourselves on service. We supply skip hire in Chelmsford to commercial and residential clients at affordable prices. Our reliable and friendly drivers ensure you are covered when it comes to receiving your skip hire on time. Our online account facilities mean your site will not be held up by waste management services. We understand that commercial sites have time a sensitive nature and can offer same day delivery or specific time slots. Our Junk Collection service is a fantastic alternative to skip and grab hire. With a caged transit vehicle equipped with low loader tail lift and help and support from our staff, clearing your junk has never been so easy. Accepting upto 1 tonne in junk collection and supplying help for upto 2 hours you can be sure that your junk will be collected quickly and effeciently, we even tidy up after ourselves! Get in touch with our Junk Collection team today! Using Grab Lorries instead of skips can be a more cost effective way of removing waste as we load it for you. Also you don’t need to guess the size of the skip or the amount of skips that you are going to need. A permit is not required for our Grab Hire, as the waste is already on your property. We can grab the waste from your driveway or over a wall without a problem. Our Grab Lorries have a 10 metre reach, making them versatile enough to be able to manoeuvre around awkward spaces or to extend over walls and fences, saving you labour time to load skips. You Can Open An Account With Us Today! For our best prices on skip hire, roll on / off container hire and junk collection fill out our application form. We Offer Specific Time Slots And Same Day Delivery! If you need to hire a skip quickly or even get us out to collect your junk, enquire about same day delivery. We Guarantee You Will Receive The Best Service! We pride ourselves on 3 main factors, affordability, reliability and professionalism. Get in touch today. To Make Life Easier, Upload Images Of Your Waste! So as we can provide you with an accurate quotation, upload your images and we will get you the best price. Our skip hire service is second to none and we pride ourselves on 3 key factors, professionalism, affordability and reliability. We cover Chelmsford and the surrounding area's and no job is too big or small. We have a wide variety of skip hire sizes ranging from 2 yard chain lift skips all the way up to 40 yard roll on roll off containers, making us first choice for skip hire in Chelmsford and the surrounding area's. For a list of area's that we cover please refer to the navigation menu and click "area's"
With our fantastic account facilities and in depth waste reporting you can rest assured that your commercial skip hire is in safe hands. We offer specific time slots and same day delivery. We understand that when you have a time sensitive issue on site you need a company that can react quickly, with our proactive team at the ready we have you covered. If you are interested in opening an account or even if you need just the one skip, contact us today. We recommend our grab hire and muck away service for people with restricted access to their sites. With a 10 metre reach we can ensure your waste is removed even if we have to tackle a wall or fence to get it. 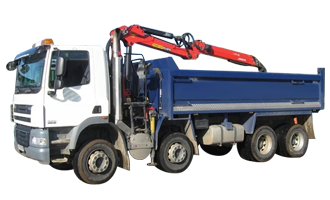 With a 17 cubic yard capacity our grab hire and muck away service is a great alternative to skip hire in Chelmsford and the surrounding area's. Get in touch today for a comprehensive quotation. Our junk collection is another great alternative to skip hire in and around the Chelmsford area, we provide friendly and helpful staff who will assist in loading your waste onto our specially crafted vehicle, leaving you free from lifting and loading. We have supplied an upload feature within our contact form so as we can give you an accurate cost and time for our junk collection service. Contact us today to remove your unwanted waste. Why Choose Chelmsford Skip Hire? Chelmsford Skip Hire are a family owned business who pride ourselves on service. We supply skip hire for Chelmsford to commercial and residential clients at affordable prices, without compromising of service. Our zero to landfill and waste management service means that you can be sure that you and we, are disposing of your waste responsibly when hiring from Chelmsford Skip Hire. We have a wide range of services to offer, we don’t just specialise in local skip hire. With fully trained staff we can offer, grab hire, waste clearance and our zero to landfill service as well as local skip hire. We can offer comprehensive advice and we even supply aggregates. We like to make sure that you are receiving the very best in skip hire and waste management services for your money. We have a hazardous waste specialist onsite at all times that can help with issues like asbestos and chemical wastes. Our site clearance service is second to none and much the same with all of our services we always clean up after ourselves.